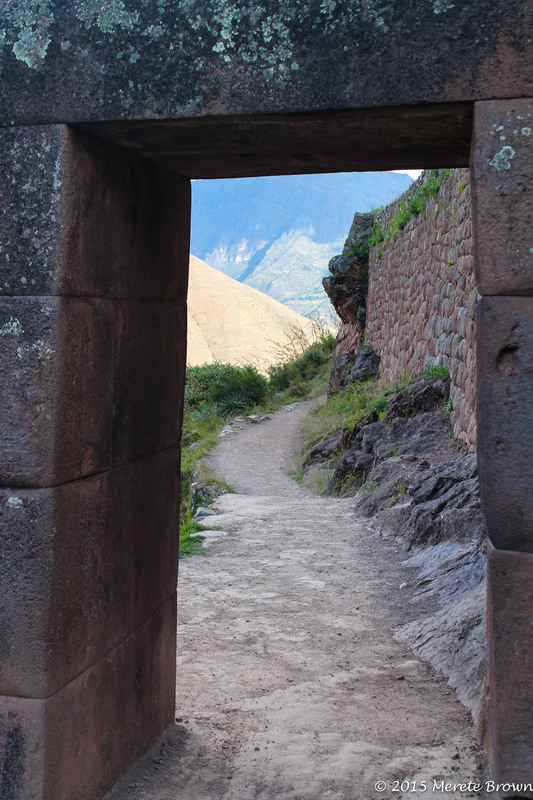 A lot of people travel to Peru with one thing in mind; Machu Picchu. 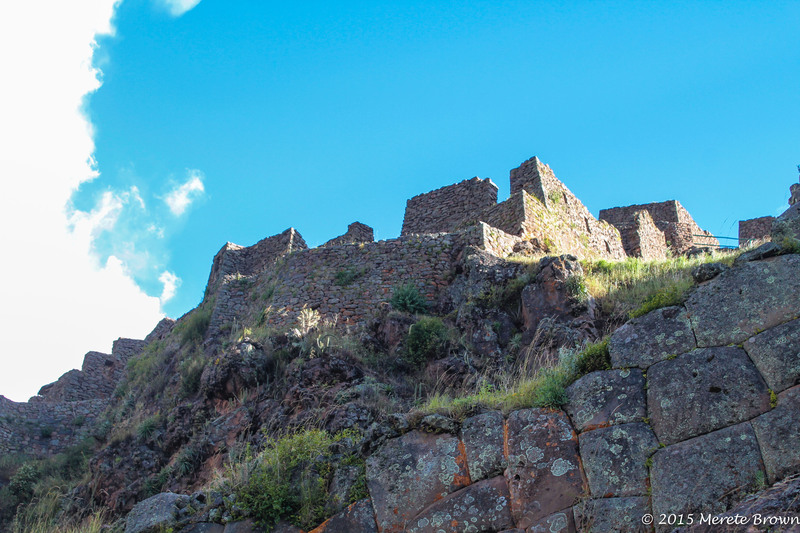 But there are actually a multitude of Incan ruins in and around the Sacred Valley that are worth taking the time to explore. 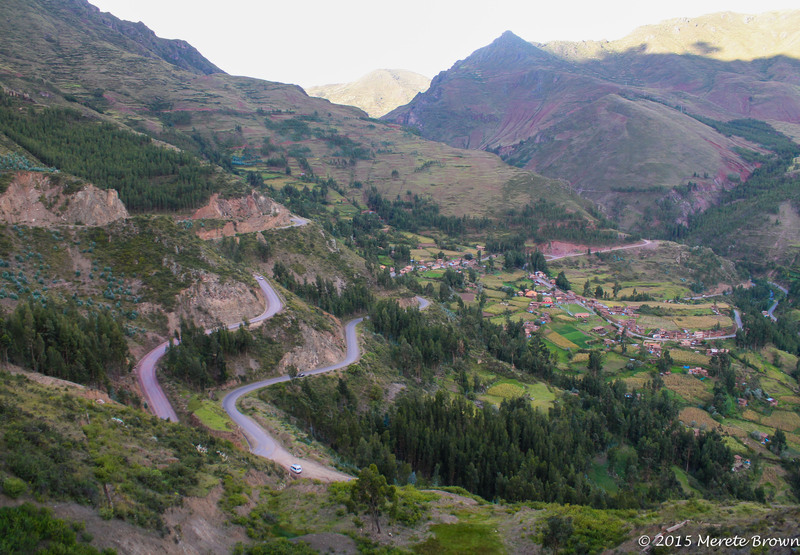 The first day we arrived in Peru, we settled into the Aranwa Sacred Valley Hotel and then caught a taxi from the hotel to the nearby town of Pisac. 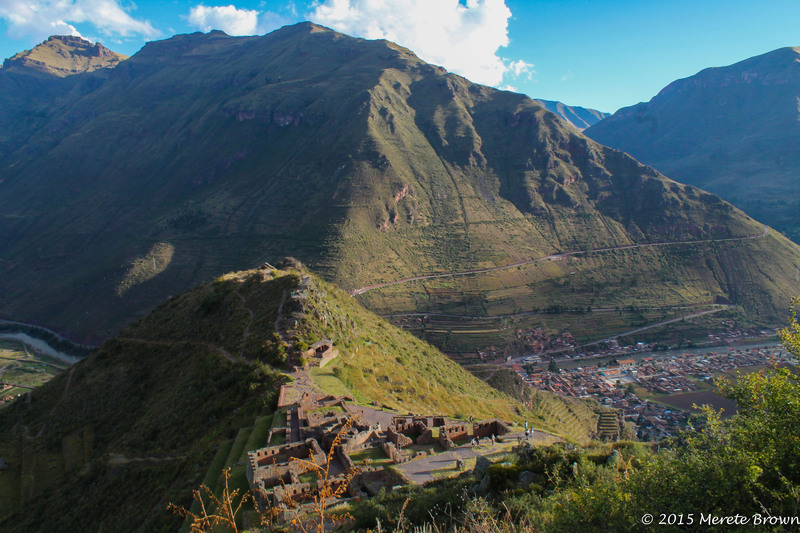 Our taxi driver, Freddie, drove up the switchbacks to the entrance of the ruins perched on the top of the mountain. As soon as we got out of a cab, a local tour guide approached us. 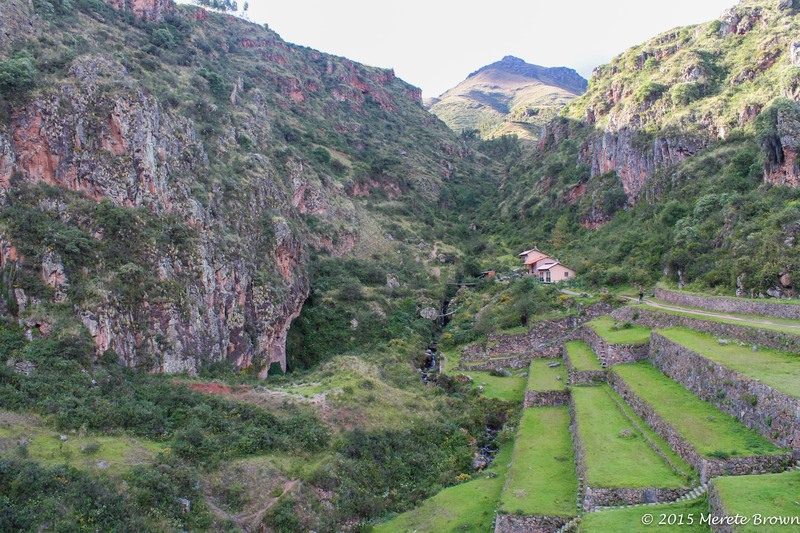 At first, wanting to just explore the ruins on our own, we were hestitant to follow the friendly guide, but in the end, we agreed to take the tour and were happy that we did. 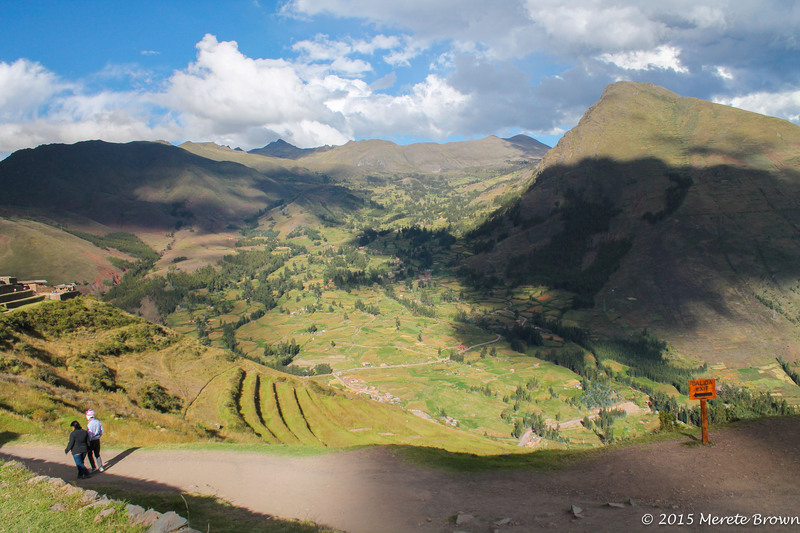 As our tour guide led us around the ruins, we learned about the rich history of the region. 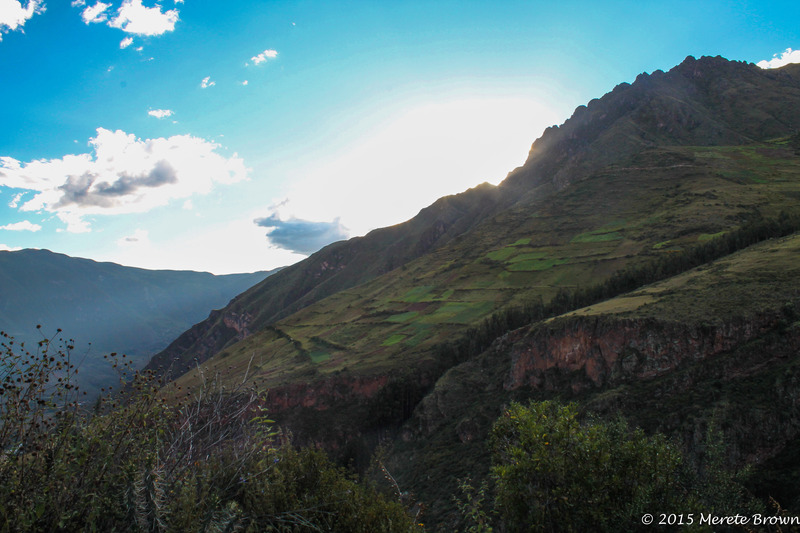 Looking out to the valley below, it was hard to imagine the Incas traveling between the lofty cities so long ago. 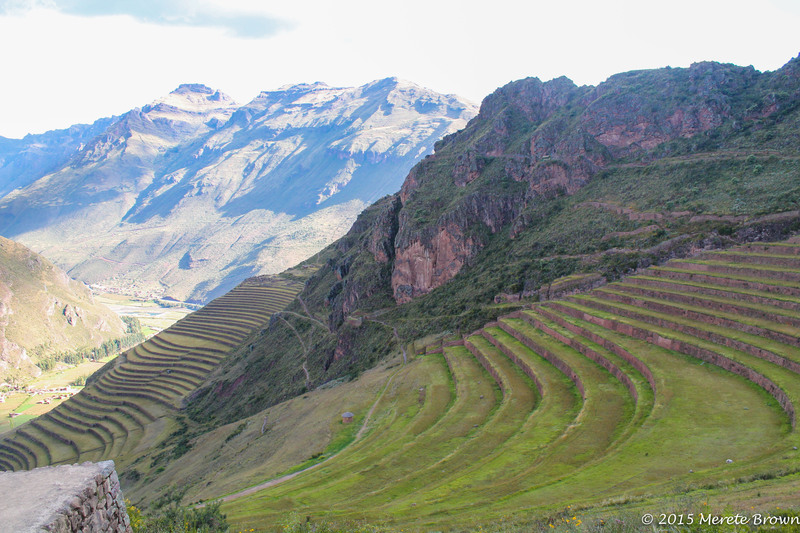 It was an eight hour walk to Cusco, the Incan capital of the world, from where Pisac sat. 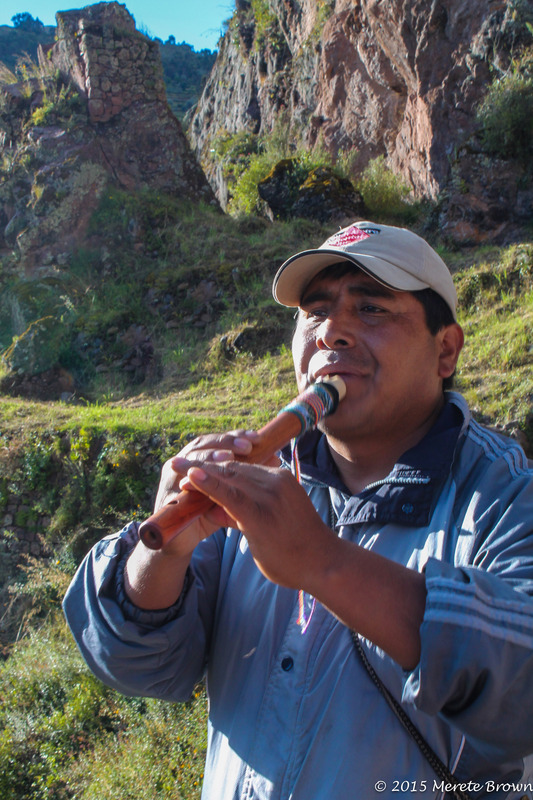 Our tour guide showed us the burial sites and food terraces along with other key structures throughout the ruins before playing a beautiful traditional Andean song on his flute. 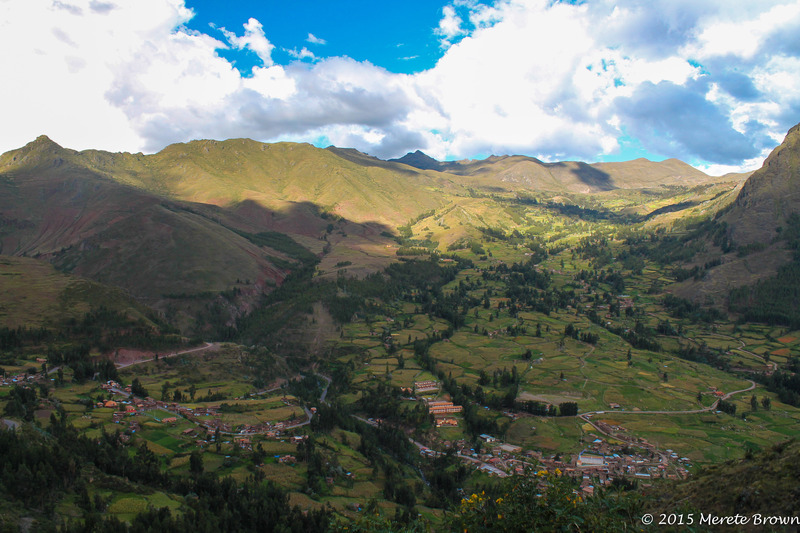 As the song echoed throughout the valley, there was a moment of peace and a rememberance of a time that the Peruvian people take great strides to love and cherish. 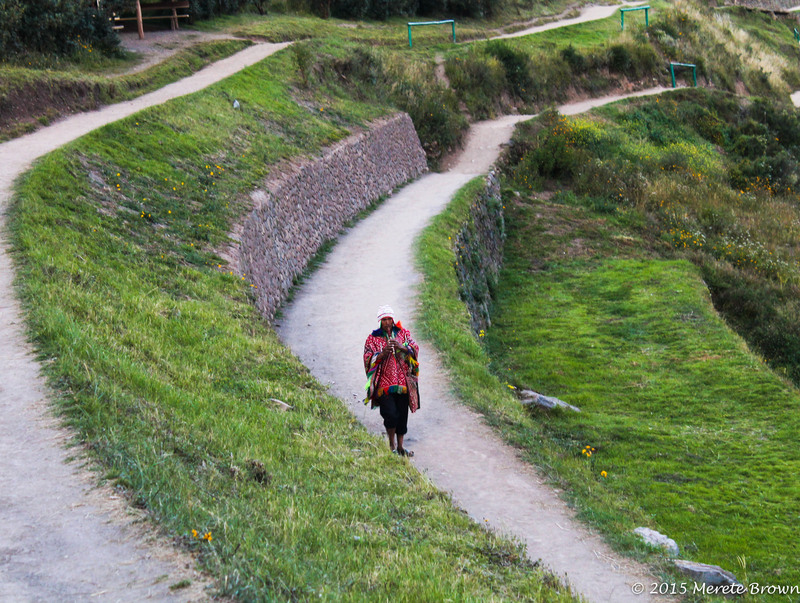 After exploring the Pisac ruins, Freddie was patiently waiting in the parking lot to take us back down to the town. 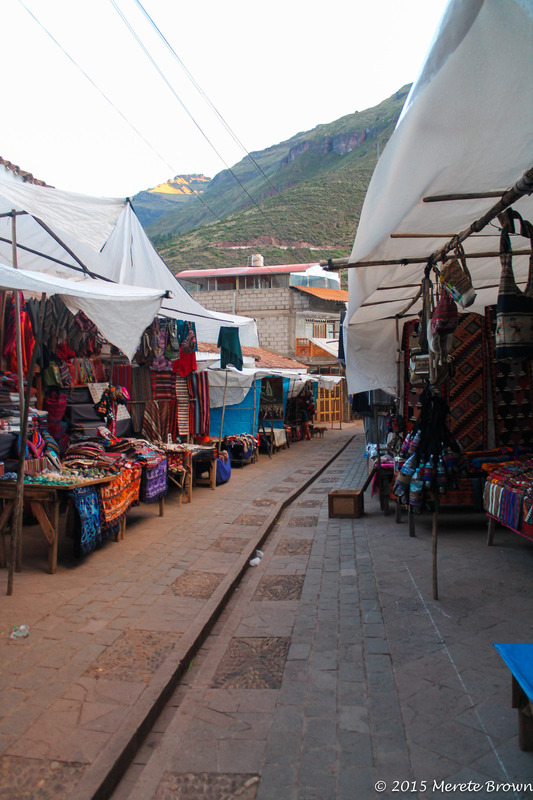 We zipped back down the hill and were at the Pisac market before we knew it. Freddie was happy to serve as our guide as we stolled through the packed market stalls. The colors displayed in the marketplace were wonderful, each booth having it’s own colorful flair. The market was wrapping up for the day. 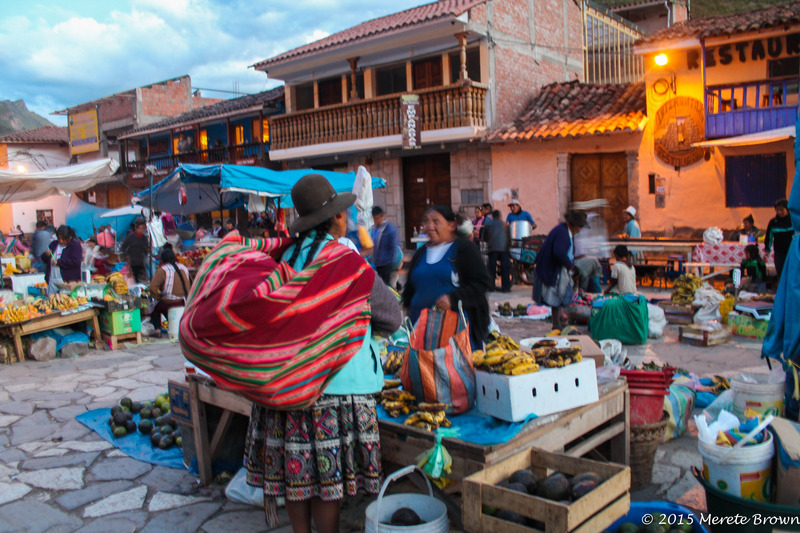 People hustled around packing up fruits, vegetables and other textile products. 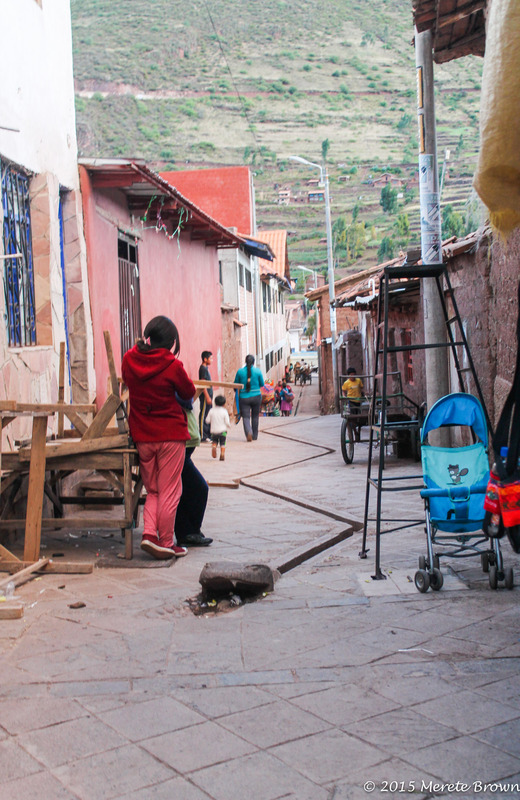 Freddie grabbed an ice cream while I continued to be mesmirized by the vibrant culture of the Peruvian people. 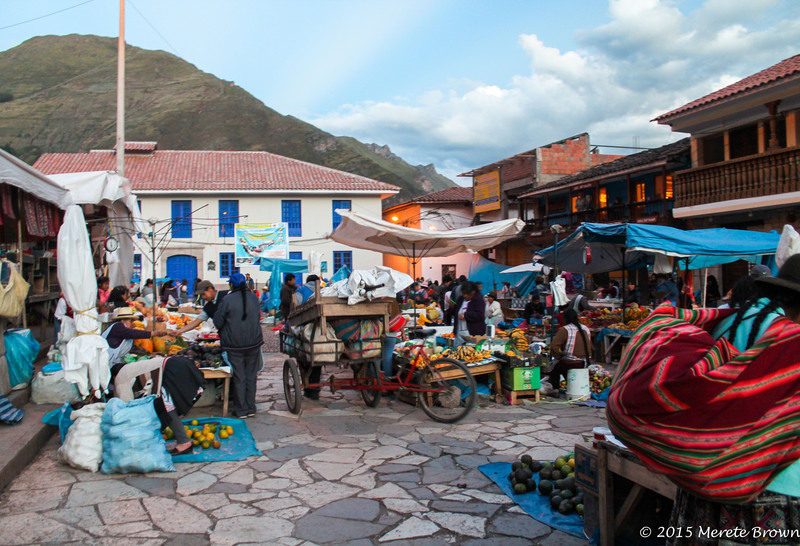 It truly was the first time that I immersed myself in a completely new culture and felt immediately at home. 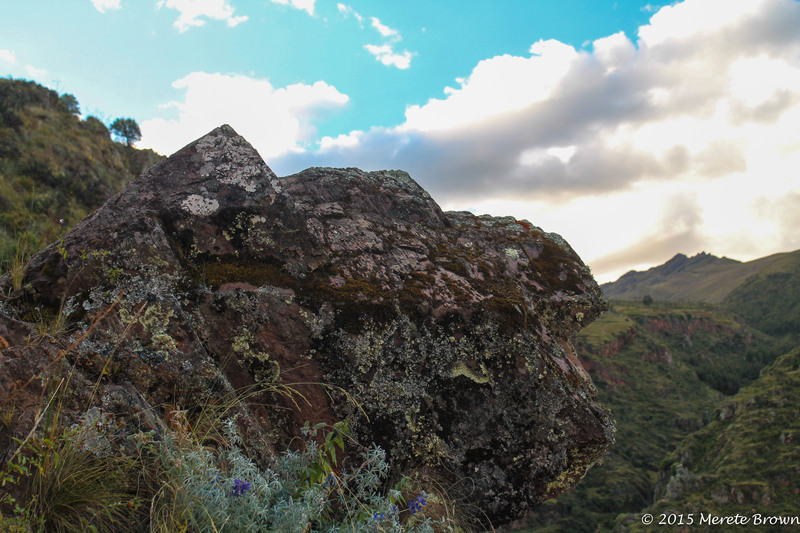 I picked up a few keepsakes and before I knew it, the day grew to a close and we were on our way back to the hotel to recharge for the next day. I wish the moment could of lasted longer, but I was grateful for a culturally rich and amazing first day. 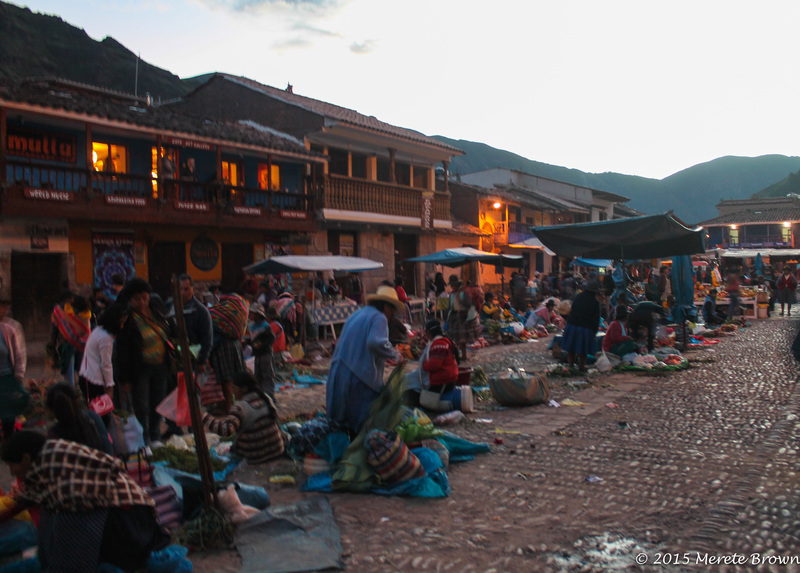 Next up – Salinas and the town of Maras, Peru!